Apr 18, 2017 Changes to "Use Of Information". Apr 16, 2017 Many changes have been added throughout. Oct 4, 2016 Several new changes have been made throughout. Sep 2, 2016 Several updates throughout including changes to "Sharing of Information", "Advertisements and Promotional Offers", and "Plaxo". Feb 28, 2016 The changes made recently have been reverted. Feb 24, 2016 The information that Comcast collects about you now include your Comcast-provided email address if you're not an XFINITY Internet or XFINITY Voice subscriber. Oct 10, 2015 Several new changes have been made throughout the entire document. May 15, 2014 This is the initial version that ParanoidPaul captured. It is not necessarily the first version of the document. versions of these sites that are optimized for mobile browsing (e.g., m.comcast.net). TRUSTE's certifications apply to our mobile website, http://m.comcast.net and the XfinityTV Player mobile application, and all websites listed on the TRUSTe validation page reached by clicking the TRUSTe seal. This means that TRUSTe has reviewed the privacy practices on these Websites, and you can contact TRUSTe about a privacy concern if we don't resolve it to your satisfaction. We want you to understand what kinds of information may be collected about your use of the Websites and Web Services, and what we might do with that information. Comcast collects two types of information from people who use its Websites: (i) information that identifies a particular person using a Website, and (ii) information that provides facts about a person without identifying him or her. Our mobile website, http://m.comcast.net and the XfinityTV Player mobile application do not use your mobile device's location services. Information that identifies a particular person could be a full name, or address, for example. We will not share this information with an advertiser, and we will not share it with another Website or company, unless you tell us to (for example, if you want to post information from your Plaxo page on your Facebook page). We also use this kind of identifying information to provide services to you. For example, we may use it to bill you for services, to check your credit, to confirm your identity when you login, or to communicate with you. Sometimes we use other companies to help us provide our services. We may share your information with these companies, but they are required to protect it and to use it only to provide services to you. Information that does not identify a person could be a non-personal record of online activity, or information you put in a profile - like your zip code, your age or your gender (when it's used without your name). We routinely collect this kind of information and use it to improve your experience, for example, by showing you content and advertising that may be more relevant and interesting to someone like you. Sometimes we share this kind of non-personal information with other companies that help us deliver and improve our services. The Web Services are provided by various companies that are part of Comcast. We may share your information among these Comcast companies so we can make it easier for you to use several Web Services seamlessly. Also, if you use the Web Services in connection with other Comcast services (for example, to set your DVR online to record a show on your television), we may need to share your information with the Comcast companies that offer those services, too. We respect and protect your privacy, but it is possible that we may be required to provide information about you to a court or law enforcement agency. We will only disclose your information if we are legally required to do so—if we receive a valid subpoena, court order, or search warrant, for example. You may choose not to register for any one of the Web Services (or for all of them) if you do not want to share information that identifies you when you use that Website. If you do register, we will give you a chance to create a profile. We may use some of the information in that profile to choose the content and advertising we think you would like to see. When you register, we may also send you email about other products and services. You may choose not to receive these messages. However, we will still send you email with information about the specific services you use. Please note this does not opt you out of being served advertising. You will continue to receive generic advertisements. 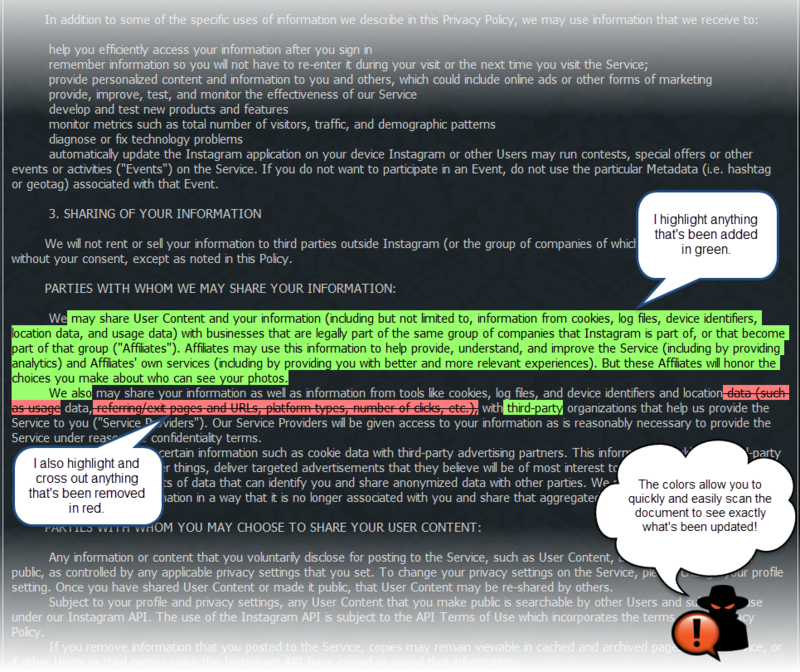 If you choose to post information on blogs or forums on the Websites, it will not be private. Once the information is posted, other users may copy or store it. all other software and services provided by Tunerfish, including those services made available by Tunerfish through its APIs (collectively the "Tunerfish Service", and collectively, (1), (2), (3), and (4) the "Comcast Web Services"). TRUSTe does not review or certify the privacy practices related to any other Comcast Websites, software programs, products, or services including XFINITY TV, XFINITY Voice, XFINITY Internet, or the XFINITY TV Store. Comcast, or third parties acting on Comcast's behalf, routinely logs Non-Personally Identifiable Information that is automatically generated when all users visit or use the Comcast Web Services (including both the Comcast Sites and Comcast Apps), as a by-product of the user's activities ("WEB LOG DATA"). This information includes, but is not limited to, Internet protocol ("IP") and HTTP header information that is automatically passed between a user's device and the Comcast Web Services, such as the device's IP address, the browser being used at the time, the operating system being used at the time, the UDID of the device (if the device being used to access the Comcast Web Services is a mobile device) and the URL of the webpage or other asset within the Comcast Web Services that is being requested. This information may also include details relating to the activities users perform within the Comcast Web Services, such as what links they click on, in what order they access specific web pages within the Comcast Web Services, and the search queries they perform on the Comcast Services. Some of the Comcast Web Services allow you to store certain details and preferences that help you personalize that Comcast Service ("PREFERENCE DATA"). This Non-Personally Identifiable Information may include ZIP code, age, gender, favorite genre to watch on television, and preferred type of news. We do this so that you do not have to enter this data every time you return to the Comcast Web Services. We may also use the Preference Data to deliver other personalized services and features of the Comcast Web Services. Comcast asks you to provide certain information when you initially register to use the Comcast Web Services and then afterwards may ask you to provide additional information when you use certain Comcast Web Services for the first time. In addition, Comcast also collects information about your use of the Comcast Web Services as a registered user. This table summarizes the different types of information that we may collect from you when you register for the Comcast Web Services and use the Comcast Web Services as a registered user. If you choose to use our referral service to tell a friend about the Comcast Sites, we will ask you for your friend's name and e-mail address. We will automatically send your friend a one-time e-mail inviting him or her to visit the Comcast Site. We do not store this information and use it for the sole purpose of sending this one-time e-mail and tracking the success of our referral program. If your personal information changes, you may update it (or correct it if it is incorrect) by contacting us. If you'd like us to help you remove any of your personal information that we have previously collected through the Comcast Sites or that is currently posted on the Comcast Sites in a public forum, directory, or testimonial, please contact us. We will respond to your request within 30 days. In some cases, we may not be able to remove your personal information, in which case we will let you know if we are unable to do so and why. We will retain Your Data for as long as your account is active or as needed to provide you with the Comcast Web Services, or as otherwise necessary to help us improve our products and services, comply with our legal obligations, resolve disputes, and enforce our agreements with you. The Comcast Web Services may use different types of cookies, like HTTP cookies (sometimes referred to as "browser cookies") and Flash cookies (sometimes referred to as "Flash LSOs"). For more information on controlling HTTP cookies and Flash cookies, please see Section 8, below. Update any programs or other tools that we provide in conjunction with the Comcast Web Services. Comcast may use Web Log Data, Preferences Data, and Your Data in these forms for internal business purposes, such as determining how much traffic certain portions of the Comcast Web Services receive, for license reporting and assessment of service levels, to better understand how the Comcast Web Services are used, to gauge traffic patterns and determine what types of content and services are most popular with users of the Comcast Web Services, or determining which search queries on certain Comcast Service are the most popular. Comcast may also use Web Log Data, Preferences Data, and Your Data to customize the Comcast Web Services and make them more relevant to you. For example, Comcast may use such data to determine which news articles, movies, or television shows to recommend to you. Comcast may use your Registration Data to verify that you are the person authorized to use the Comcast Web Services or to manage your account. Comcast may also use your Registration Data to determine whether your XFINITY TV subscription allows you to access premium content or services offered through some of the Comcast Web Services. For example, Comcast may use this subscription information to permit you to access, via one or more of the Comcast Web Services, certain programming included in your XFINITY TV package or to recommend additional Comcast products and services that it thinks may be of interest to you. Comcast uses third parties to assist us in delivering parts of the Comcast Web Services to you. We may share portions of Your Data with these third parties to the extent necessary for them to provide these services. These companies are acting on Comcast's behalf and are required, by contract with Comcast, to keep this information confidential and are only authorized to use it for specific purposes. As described in more detail below, Comcast may also provide Non-Personally Identifiable Information elements of Your Data to third parties who deliver ads to you on Comcast's behalf. Comcast will not provide your Personally Identifiable Information to these advertisers unless you expressly authorize us to do so. Comcast may also share Web Log Data and Preference Data, which do not contain Personally Identifiable Information, with third parties. For example, Comcast may share traffic data for one of the Comcast Sites with a third party that analyzes and publishes Website traffic surveys. Or, Comcast may share Web Log Data and Preference Data with one of the providers of movies on XfinityTV.com, so that Comcast and the provider can determine what additional movies that provider should show on XfinityTV.com. Comcast may also share Web Log Data, Preference Data, and Your Data within its internal family of companies solely to provide you with the Comcast Web Services, other cross-platform services, and advertising it thinks may be of interest to you. For example, Comcast will share your Registration Data within its internal family of companies to provide you with online access to content from premium networks that are part of your XFINITY TV subscription if you have signed up for that service, and to make you aware of other Comcast products and services it thinks may be of interest to you. This sharing occurs when you sign up for and use these other services, and may be necessary for us to provide them. If you do not want Your Data shared with a specific service, then you may choose not to sign up for that service or stop using it at any time if you have already signed up for it. You may authorize other Websites such as Facebook to access and publish on their Websites some of Your Data, including your Activity Data. For example, you may enable a Facebook widget to access and publish to your Facebook page what shows you watch on XfinityTV.com. In addition, certain Comcast Web Services allow you to import information from Websites such as Facebook to use within the Comcast Web Services. For example, XfinityTV.com may enable you to use the television shows that you "Like" on Facebook to create your "Favorites" on XfinityTV.com. If you provide Comcast with your credentials for this kind of Internet service and use the features of the Comcast Service that share information across these Internet services, or, if one of these Internet service contacts Comcast using your Comcast Web Services credentials and asks to have access to certain portions of Your Data, Comcast will treat this as your authorization to share such portions of Your Data with that Internet service. Comcast participates in the World Wide Web Consortium's (W3C) process to develop a "Do Not Track" standard. Given that the definitions and rules for such a standard have not yet been defined, Comcast does not yet respond to "Do Not Track" signals sent from browsers. Comcast, or third parties acting at Comcast's request, may deliver advertisements to you through the Comcast Web Services, depending on whether you are a registered user or not, as described in more detail below. We, or our advertising providers, automatically deliver ads to all users of the Comcast Web Services, whether the users are registered or not, based on non-personal information including: (i) the IP address associated with your device for purposes of determining your approximate geographic location; (ii) the type of web page that is being displayed, such as a news or sports page; or (iii) the content on the page that is shown, such as a sports article about a certain team or a movie review for a particular movie. Because this advertising activity automatically applies to all users and it is purely contextual, this type of advertising delivery cannot be customized or controlled by individual users. If you are a registered user, Comcast, or service providers acting at Comcast's request, may use Your Data, regardless of where we gathered such information, to determine what type of ad to display to you on the Comcast Web Services. For example, Comcast may use portions of Your Data that it gathered on www.comcast.net to determine which ad to show you when you visit xfinitytv.comcast.net. In addition, some of the graphical display, text, and other ads on the Comcast Web Services are customized for you based on the ZIP code of your XFINITY Internet service address, information about your current subscription, or use of Comcast products and services. If you do not want this information to be used to serve you targeted ads, you may opt-out here. Please note this does not opt you out of being served advertising. You will continue to receive generic advertisements. Some of these companies may combine information they collect in connection with the Comcast Web Services with other information they have independently collected relating to your web browser's activities across their network of Websites. These companies collect and use this information (which may include personally identifiable information or information that can be used to contact you online) under their own privacy policies. More information about these companies, their privacy policies, and the opt-outs they offer can be found here. and following the directions there. Comcast may allow you to access portions of the Comcast Web Services by signing in using your username or other identifier from another Internet service ("NON-COMCAST USERNAME"). Comcast will treat your Non-Comcast Username and any additional data that the relevant Internet service provides to Comcast about you as Your Data. If you post comments to any of the blogs, forums, or other editorial sections of the Comcast Web Services, any information you submit there can be read, collected, or used by other users of the Comcast Web Services and any PII you post could be used to contact you. We are not responsible for PII you choose to submit through these features. Children under the age of 13 should not post in any of the blogs, forums, or other editorial sections of the Comcast Web Services. Comcast uses industry standard approaches to securely store, control access to, and make appropriate use of Your Data, and we require our contractors and other providers to do so as well. However, no security measure is completely effective and Comcast cannot guarantee the complete security of Your Data. If you don't want Comcast to know any particular information about you, you should not register to use the Comcast Web Services or include it in anything that you submit or post to Comcast, including posts on the Comcast Sites or e-mails to Comcast. More information on Internet security can be found here: http://security.comcast.net/. Comcast also takes additional steps to increase the security and reliability of customer communications. We do not read your outgoing or incoming e-mail, file attachments, video mail, private chat, or instant messages. However, we (along with our third party providers) use software and hardware tools to help prevent and block "spam" e-mails, viruses, spyware, and other harmful or unwanted communications and programs from being sent and received over Comcast.net e-mail and the Comcast Sites. These tools may automatically scan your e-mails, video mails, instant messages, file attachments, and other files and communications in order to help us protect you and the Service against these harmful or unwanted communications and programs. You can learn more about Comcast's anti-spam approach at http://customer.comcast.com/help-and-support/internet/reducing-spam-email/. We follow generally-accepted standards to protect the personal information submitted to us, both during transmission and once we receive it. No method of transmission over the Internet, or method of electronic storage, is 100% secure, however. Therefore, we cannot guarantee its absolute security. If you have any questions about security on our Web site, you can contact us. As an additional security precaution, neither Comcast nor any of our authorized service providers will ask you for your Comcast password in an e-mail, over the telephone, or in an online support forum or chat area. DO NOT GIVE YOUR COMCAST PASSWORD TO ANYONE IN AN E-MAIL, OVER THE TELEPHONE, OR IN AN ONLINE SUPPORT AREA. Comcast does not knowingly collect Personally Identifiable Information from anyone under the age of 13 through the Comcast Web Services. Children should always get permission from a parent or legal guardian before sending any information about themselves (such as their names, e-mail addresses, and telephone numbers) over the Internet, to Comcast or to anyone else. California law permits its residents to request and receive information about a business' disclosure of certain categories of PII to other companies for their use for direct marketing. If you are a California resident and a user of any of the Comcast Web Services, you can request a copy of this information from Comcast by sending e-mail to Comcast_Web_Privacy at Comcast dot com or a letter to Comcast Cable Communications Management, LLC, Attn: California Direct Marketing Information, One Comcast Center, Philadelphia, PA 19103. Please include your name and e-mail address in e-mail requests, and your name and postal address in mail requests. In the event Comcast enters into a business transition, such as a merger, acquisition, or the sale of all or part of its assets (a "BUSINESS TRANSITION"), Your Data (including PII and non-PII associated with the Comcast Web Services) will likely be part of the assets transferred. The following terms in this section apply only to your use of the Plaxo Service and www.plaxo.com (collectively the "PLAXO OFFERINGS"). Comcast uses Your Data to enable you to use the Plaxo Offerings as follows. Registration Data and Profile Data. The name you put in your Registration Data and the photo (if you have uploaded one) in your Profile Data will be displayed to members; and to non-members who use the Plaxo Service if you choose to make the data publicly accessible. This is primarily so your friends, family or business colleagues can find you and connect with you. All users can control whether or not their names are listed in the Plaxo people search listings. You also control how all other information in your Registration Data and Profile Data is shared with others through your Plaxo privacy settings (for example, friends, family, business) located at http://www.plaxo.com/settings/account. You control whether or not you have a public profile. If you have a public profile you choose which information from your Registration Data and Profile Data is part of your public profile. Public profiles are viewable by any member or non-member who uses the Plaxo Service. Activity Data. You control with whom your Activity Data is shared. Once you share data with someone, however, you cannot control what those recipients do with your data. Plaxo provides its members with updated contact information for the people they already have in their address books. Plaxo uses publicly available contact information corresponding to the contacts in a Plaxo member's address book, and suggests updates for that contact information to the Plaxo member. When using the Import Contacts feature You can import contacts from your Outlook or other e-mail account address book to invite them to become members of our site or to connect with them. We collect the username and password for the e-mail account you wish to import your contacts from and will only use it for that purpose. To help Plaxo determine whether a piece of publicly available contact information is accurate, Plaxo looks at how frequently that public information appears in the aggregation of all address book data stored in the Plaxo system. Plaxo members who do not want their address book data used in this aggregation process can easily remove their address book data from the Plaxo Offerings. Before removing the data, Plaxo members can export it to another online address book provider. Learn more about exporting your address book and deleting your account. Anyone, whether a Plaxo member or not, can prevent Plaxo from suggesting updates to their contact info as it appears in a Plaxo member's address book by opting out. The following terms in this section apply only to your use of the Tunerfish Service and www.tunerfish.com (collectively the "TUNERFISH OFFERINGS"). Comcast uses Your Data to enable you to use the Tunerfish Offerings as follows. Registration Data and Profile Data. Some of your Registration Data and Profile Data, for example your name, bio, and photo, is publicly available through the Tunerfish Offerings. You can control the contents of these fields, but any content you put in these fields will be viewable by anyone who visits the Tunerfish Website or uses the Tunerfish Offerings. Activity Data. By default, your Activity Data is viewable by anyone who visits the Tunerfish Website or uses the Tunerfish Offerings. You may make your Activity Data more private by changing your Tunerfish privacy settings at http://www.tunerfish.com/settings. Once you share your Activity Data with someone, you cannot control what that person does with your data. You may choose to share your Activity Data with third parties (e.g., Facebook, Twitter) ("THIRD PARTY SITES"). If you choose to share your Activity Data with any Third Party Sites, they may use that data as described in their own privacy policies and other applicable terms and conditions. You can find customer support and help information at http://customer.comcast.com/Pages/Help.aspx. Some online support areas and tools may ask you to provide information to Comcast to help us address your questions or problems. We may also make software tools available to help configure your device's or network's settings, or collect information from your device or network to help us provide support to you. If you choose to provide this information to Comcast or use these tools, we will use the information only for customer support purposes.